Arlington is the sixth largest county and one of the top five wealthiest in the Commonwealth of Virginia. It is a county, but it is treated as a city and is a part of the Washington metropolitan area. Arlington is mostly made up of single people and those working for the US government as well as students from the Antonin Scalia Law School of the George Mason University among others. The county has a hot and humid summer season and mild winters. The weather is often comfortable for the locals, which is why they love to spend their days outside. As you participate in outdoor activities, you neglect some of your house chores. The Grout Medic in Arlington will take care of all the tasks involved in ensuring your floors and walls with tile and grout are immaculately clean. Arlington is only five miles west of Washington DC and has plenty of amenities that you can enjoy in a city. It offers easy access to the US capital itself, and the proximity generated an urban village atmosphere in the county, which sets it apart from other places. Several of the retail spaces, residential properties, and other buildings are within the Metro stops for a convenient commute. The growing economy in the area is also one of the reasons why people love living here. It has a lower unemployment rate than the national average. Younger residents can choose from the top schools in the area as well. To keep your home in Arlington a desirable place to live, you only have one name to remember: The Grout Medic. We have been serving the county for several years now, and we make sure all our customers are happy with the results of our job. Here at The Grout Medic, we value the wishes of our customers. At the same time, we make sure they will be impressed with our work. It is our goal to only leave their homes or business offices when we know the locals are happy with our cleaning service. Some grout and tiles do not require heavy work, such as cleaning. 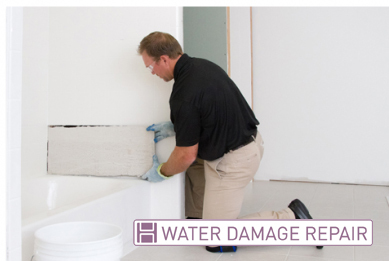 However, there are also houses and commercial facilities that already suffer from tile or grout degradation. No matter where your situation fits, The Grout Medic team will handle your requirements. Frequently, our cleaning service needs to be combined with other services, such as color sealing. We always ask our customers what their desires are when it comes to tile and grout work. For instance, if there is a specific color that they would want us to apply to their grout lines through our color sealing service, we will make sure we follow their requests. The Grout Medic will restore and fix your grout and tile so they will look the same as they did when they were first installed. The Grout Medic will clean your tile and grout in Arlington County, as well as the nearby areas, such as Clifton, Oakton, Reston, and Potomac Falls. Trust only the experts who will care for your floors the same way we do with our own. Call us today for a free estimate. There are many benefits of contracting The Grout Medic for all your tile and grout cleaning needs in Arlington, Virginia. Whether you’re looking into buying, selling, or just trying spruce up your property, we can help you to make your tile and grout shine as it did the day it was first put in.